A World War II veteran who built starter homes for Maui families, loved tinkering in his Upcountry garden and helped turn the dream of the Nisei Veterans Memorial Center into reality, died earlier this month in his Pukalani home. Hiroshi Arisumi, who passed away March 8, was remembered by his family and friends as a humble, matter-of-fact man who served his country and his community with the same passion. Arisumi was 98, or maybe 99, depending on who you ask. Yamamoto explained that her father used the same birthday all his life — June 11, 1920 — until Medicare rejected one of his claims in December 2016 because the wrong birthday was listed. His birthday, according to Medicare, was actually June 10, 1921. Arisumi’s birth certificate was filled out by his father in 1940 when Arisumi was already an adult. 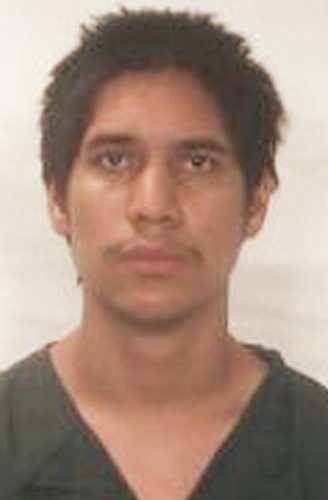 His children say the exact date may have gotten mixed up or registered later because he was born at home. “So this year, he was either going to be 100 or 99 or 98, depending on what you believe,” Yamamoto said. One thing is for sure — Arisumi lived a long, full life with a lasting impact at home and abroad. Arisumi was born and raised in Olinda. His father worked for Worth Aiken’s horseback expedition company, leading tours up to Haleakala before the road to the summit was built, according to a 1993 oral history interview with David Fukuda. His mother was the hostess who took care of the tourists who stopped by their small home. In his early years, Arisumi lived in Wailuku with his grandparents so he could attend school. He didn’t go to high school, instead attending the Maui Vocational School and taking up carpentry, a well-respected trade for nisei at the time. Arisumi’s parents were both from Yamaguchi Prefecture in Japan. However, they made their loyalties clear when the Japanese bombed Pearl Harbor on Dec. 7, 1941. 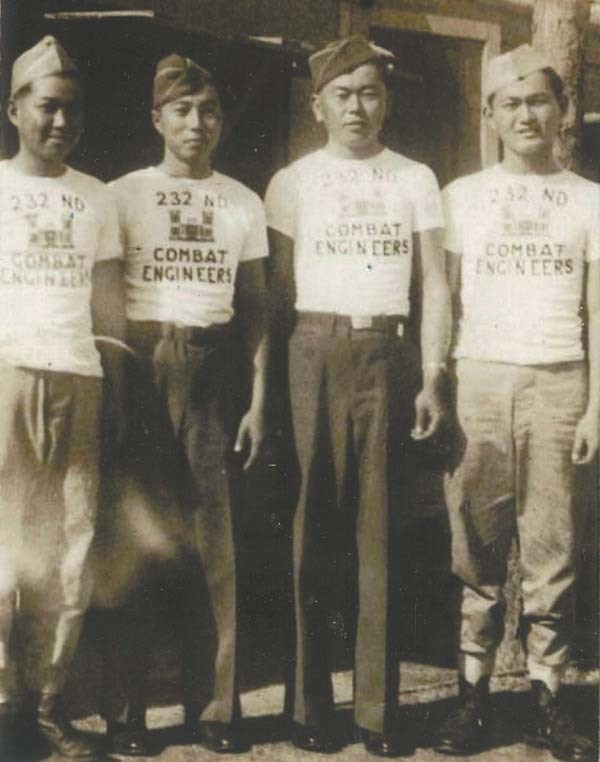 Arisumi, who was working as a carpenter for Hawaiian Commercial & Sugar Co., signed up to serve after hearing on the radio that the military planned to activate the 442nd Regimental Combat Team, according to the oral history interview. He went to train in Camp Shelby, Miss., where he was placed as a combat engineer and learned to do jobs like clearing a minefield and building temporary bridges. In May 1944, he was shipped to Europe. One of his first stops was Anzio, Italy, and on his first night there, “the Germans just bombed the hell out of Anzio,” he told Fukuda. But by 1944, the Germans were on the run, with the 100th Infantry Battalion hot on their heels. The 442nd made its way up north and clashed with German forces in Florence, where Arisumi and his fellow engineers ventured into the cold waters of the Arno River to probe for mines. Arisumi was part of the famous rescue of the 141st Infantry Regiment, 1st Battalion, also known as “Lost Battalion.” In October 1944, the 442nd had just spent 10 days fighting to liberate the French towns of Bruyeres and Biffontaine, and were prepared to rest when they learned that the battalion had been cut off from the rest of their regiment in eastern France, near the German border, according to the Go For Broke National Education Center. The 442nd and the 100th went up against heavily entrenched German troops and endured several days of heavy fighting and hundreds of casualties to save more than 200 men. Arisumi would never forget the trip home after the war and the sight of Aloha Tower coming into view. He was the first of his brothers to return home. While working at Schofield Barracks after the war, Arisumi met his wife Edna, a former classsmate on Maui who had relocated to Honolulu. They got married on June 27, 1947, and had three children — Lloyd, June and Adele. In 1952, Arisumi started a construction business with his brother Mitsuo. Later Tady, Butch and Helen also joined the company, Arisumi Brothers. By then, many men were coming home from the war and looking to start their own families. And, the plantation eventually stopped providing homes for its workers, so the company built starter homes for many families in Kahului. Work was Arisumi’s life. 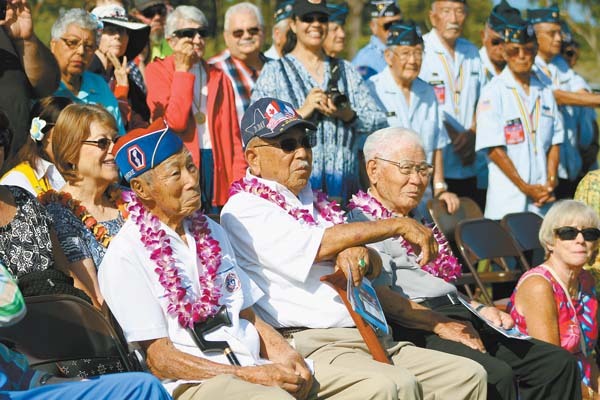 Yamamoto recalled that her dad didn’t spend very much time at home, but she remembered how he would take them on trips, “which we have great memories of.” The family went to Disneyland and often visited the West Coast — Los Angeles, San Francisco, Seattle — during Arisumi’s reunions with his friends from the 442nd. The only other time that Yamamoto remembered seeing her dad at home a lot was during the fall, “because he had his persimmon crops, and that was very labor intensive.” She and her siblings would help her dad pick, wipe, cure, sort and market the fruit. Arisumi also brought home a pig at times to eat the garbage from the persimmons and other produce. Yamamoto can laugh now, but as a shy high school student, it was “so embarrassing,” and she always hoped no one would see her helping her dad lug the pig home. Her brother, Lloyd Arisumi, said he also may have spent some summers chasing down the infamous pig. Working on the farm is a fond memory for Lloyd Arisumi. He remembered when his father bought the place around the early 1960s, with the family moving there shortly after. The family knew there were kaki, or persimmon trees on the property, but they didn’t know how much until they started clearing the lot. On about two acres, they discovered about 50 persimmon trees. The garden would eventually fill with all kinds of fruit and flowers that Hiroshi Arisumi happily shared with the community. Lloyd Arisumi also worked with his father a lot on construction projects. His father was, “if I may say so, a very good carpenter.” Everything he made was perfectly smooth and cut to precision. Lloyd Arisumi recalled that one year when he was living in Michigan, his dad brought a can of assorted nails and pre-cut wood for sawhorses to Michigan and built a play structure for his grandchildren. In 2014, Lloyd Arisumi, his wife Pauline and his sister Adele Sumida took their father on a two-week road trip through France and Italy, retracing his steps during World War II. In Bruyeres, a town in France that Hiroshi Arisumi and his fellow troops had liberated, the townspeople threw a reception for the family at city hall. 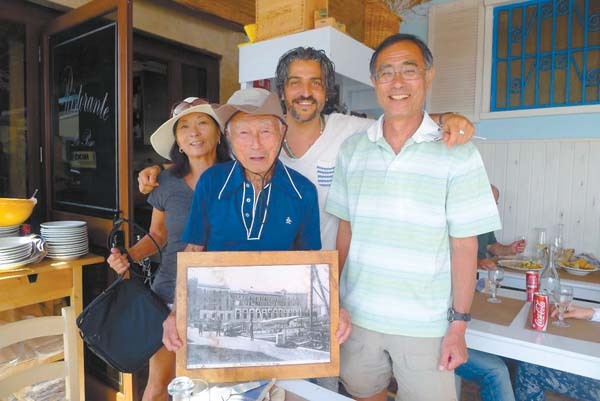 In Anzio, Italy, where Hiroshi Arisumi had served shortly after the 1944 landing, the family dined at an Italian restaurant. When the owner discovered Hiroshi Arisumi was a World War II veteran, he gave him a pre-war photo of Anzio that was hanging on the restaurant wall. “It was not his first time to be back, but this time going with my sister and my wife and I . . . he could see how all those places had changed,” Lloyd Arisumi said. “His generation didn’t like to talk that much about it, except when he did work on the Nisei Memorial Veterans Center, then that meant a lot to him to keep alive the memory of the 442nd Regimental Combat Team,” he added. Lloyd Arisumi said his father was “always passionate about everything he did,” from his farm to his construction company to the veterans center, where he was the longtime president and later president emeritus. Leonard Oka, who worked closely with Hiroshi Arisumi on the center, recalled how his presence and credibility in the community helped turn the dream of the center into reality. Oka said it took more than 30 years to fundraise for and complete the center. The Maui’s Sons and Daughters of the 442nd, which Oka founded, wanted to build the center to house the war memorabilia and stories collected from local veterans. But “eventually we realized that we needed to depend on the veterans themselves,” Oka said. Hiroshi Arisumi was a leading force in drawing public support and funding for the project. Arisumi Brothers offered the lowest bid and won the contract to build the center. Oka, whose father Clarence “Hekka” Oka died in 1991, said that Hiroshi Arisumi was like a father to him. Melanie Agrabante, a historian at the center who also worked closely with Hiroshi Arisumi, recalled meeting him in the early 2000s when she first started helping them fold newsletters as a volunteer. In the years after the war, Arisumi also received the Congressional Gold Medal of Honor and the Chevalier de la Legion d’Honneur (Knight of the French Legion of Honor) medal from the government of France for his service in the 442nd and the 232nd Combat Engineers Company. He also received the Nihon Bunka Award from the Japanese Cultural Society of Maui and the Order of the Rising Sun from Japan for his work preserving Japanese culture and promoting cultural exchange. Hiroshi Arisumi lived with Sumida until November 2017, when he moved in with Yamamoto. Hiroshi Arisumi is survived by his children Lloyd (Pauline) Arisumi, June (Raymond, deceased) Yamamoto, Adele Sumida (David Nakamura); grandchildren Sanford (Lilin) Arisumi, Nikki (Dan) Hsiung, Ross (Jayna) Yamamoto, Jaclyn (Cy) Fukagawa, Rick Yamamoto, Randy Yamamoto (Lyu Burdette) and Dr. Andrew Sumida; great-grandchildren Alima Arisumi, Kamea Hsiung, Takuma Hsiung, Jaeda Yamamoto, Eliana Fukagawa and Rikio Yamamoto; siblings: John (Thelma, deceased) Arisumi, Mitsuo (Eleanor) Arisumi, Helen (Fred) Yamashige, Tokie (Sachio, deceased) Taira, Tady (Sandy) Arisumi, Jopa (Yong) Arisumi, brother-in-law Ronald Fukami and numerous nieces and nephews. He is predeceased by siblings Butch (Ann) Arisumi, Masato (Ethel) Arisumi and Maisie Fukami.